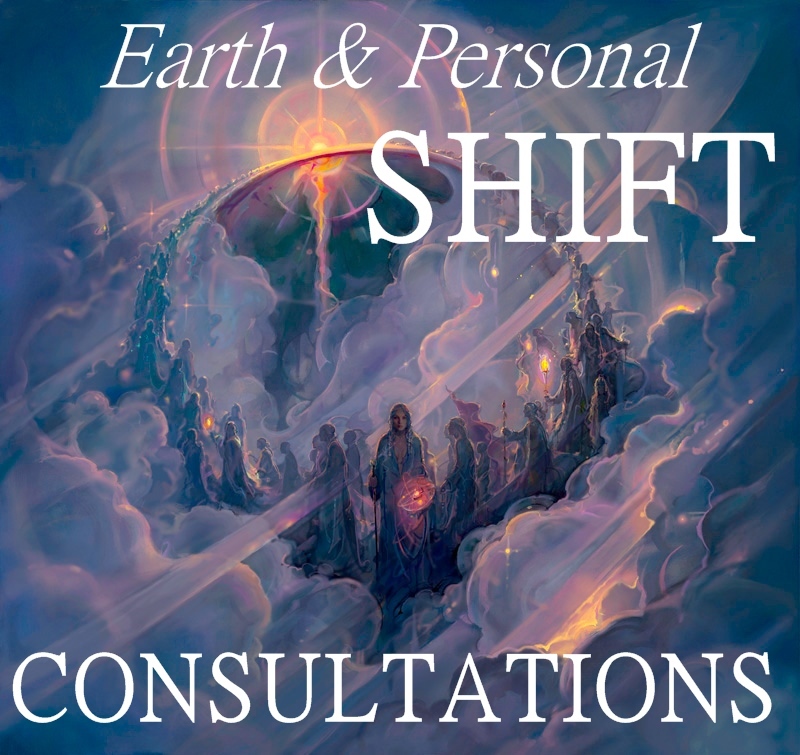 Posted on August 17, 2015, in Ask Lada, EARTH SHIFT, Eurasia, Geopolitical Trends, Russia and tagged 9/11, 9/11 truth, Afghanistan, Chechnya, eurasia, Iraq, Middle East, New York, Putin, Russia, US Middle East plan, USA, Zurab Tsereteli. Bookmark the permalink. 24 Comments. Russia has been good to the United States since our Revolutionary War, except for the Communist period-Lada, you may disagree with that part, I know. Today, it seems, Russia and the United States are changing places as we are be led down, away from our principles, and Russia is able to somewhat take them up in its return to Christianity. Much in your country’s past reveals much suffering of its people, let us hope that suffering doesn’t return and be the New World Disorder, more chaos out of chaos, for whoever is left of 7 billion people. Keeping in mind that we are in a world with very flawed human beings, matters are relative. For our principles, I would go to general Judeo-Christian values, the Declaration of Independence, the Constitution and Amendments, the Federalist Papers, and writings of Thomas Paine for a start. Oliver Cromwell tried to establish a tripartite democracy in the previous century but couldn’t keep it. King George III deserves some recognition for driving us into a democratic republic. Part of our principles included George Washington’s sound advice not to get involved in foreign entanglements. That warning should have been heeded with World War I; if European nations want to kill each other, stay away. 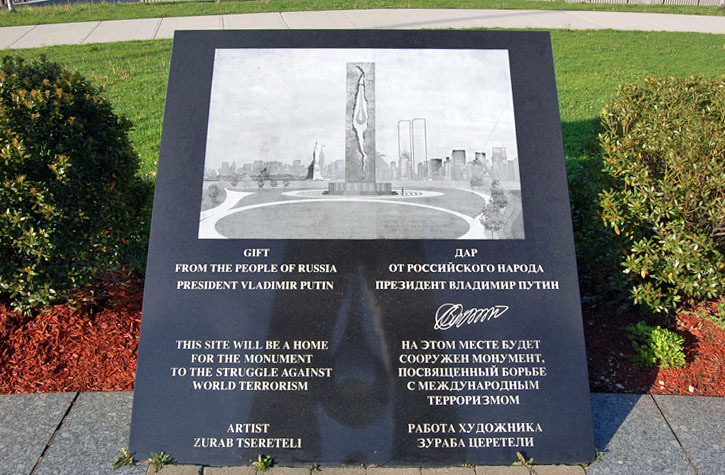 Lada Ray, a Russian who was living and working in New York City at the time of 9/11 adds information to my Teardrop Monument blog. Unfortunately Asia-Africa-Americas have been dealing with a criminal enterprise called Europe. Who besides being fools enjoy rapine and murder for kicks and don’t even care about their own people or immediate families it’s ME ME ME. Lada: As much as I enjoy your writings, I find some of your comments toward the people of the United States insulting. We are not our government any more than the good people of Russia were all Bolsheviks. Many don’t realize what’s happening even now and, as you’ve stated, are under the influence of mind control. I’ve only known for a few years and am sickened by what I’ve discovered. So when you ask, “What principles?” you cut to the bone. Is that really your intent? 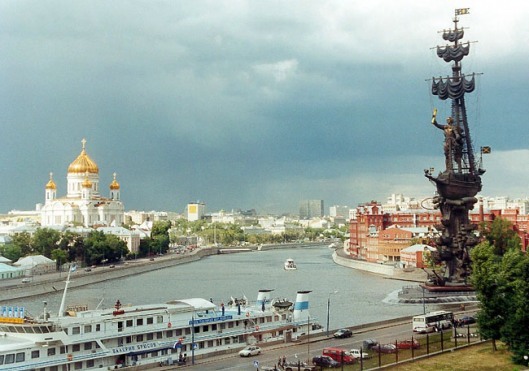 I don’t want to think so… Regarding the beautiful memorial from the Russian people, you are right; many don’t know about it due to our controlled media. When we take back our country I believe Russia’s gift will be given the recognition it deserves. I am thrilled that Russia is rebuilding and am grateful for her leadership on the world stage. It gives me hope that someday the U.S. Republic can rise again. I insulted American people? I think you are confused. That said, sorry, I tell the truth about whatever I write, including Russia, Ukraine, Wall Street, etc. My advice as someone who knows Americans very well is to take a deep breath and develop a more humble attitude towards the truth about your country, especially when you yourself admit it’s true. Also, I’d really appreciate it if you didn’t put the words in my mouth. As to the question, it was a very simple question I have asked since I wouldn’t have put it the way he did. When you get offended at such simple question, imagining in it things that weren’t there, it tells us very clearly what YOU yourself think of your country and American people – not me. Thanks to both Lada and Nancy for pointing this out! What a beautiful monument this is! Such a pity the people of the USA don’t know about this so lets share this far and wide! Sadly, so many Americans have no idea that they have NEVER lived under the Constitution for the original American Republic … that our government was hijacked and we have lived in the Corporation of the United States of America following the passing of the Federal Reserve Act in 1913. (https://pathwaytoascension.wordpress.com/category/dunn-bradstreet-duns-code-numbes/) Due to this lack of knowledge about the government under which we live, many assume our government and news media tell us the truth. I am intuitively feeling that the discovery of the hidden Teardrop Monument is actually bringing about a major awakening to the truth. Today, I am feeling the teardrop is transforming into tears of JOY that finally Americans have an undeniable example of how truth is hidden from them. A 100 ft. monument standing on American soil cannot be dismissed as a “conspiracy theory!” Once more, thanks Russia! WOW, Nancy! This is so well put! I love this comment. Great find, Nancy. I must say that I didn’t even know about this monument’s existence, until I read about it here. Lada, funny you should mention Eiffel Tower within this article. Because it brings forth memories of another gift, from another people – the statue of Liberty from the French, where architect Gustave Eiffel was behind both constructions. Two monuments not far from each other – and such different destinies. I believe that quite soon, once the hysteria and animosity disperse, this monument will take it’s rightful place in the minds of the American people, on par with the Statue of Liberty. 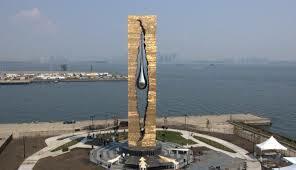 I also have a feeling that the Teardrop will represent something more than commemoration of those fallen in the demolition of the Twin Towers. Maybe this is what those, who try to hide the elephant in the room are afraid of? It is likely that the Middle East is going to settle down, except for Turkey. The Iranian nuclear deal is likely to make Iran relatively pro-Western. This way, the US can redeploy its forces to oppose Russia and China. To me, Russia and China made mistakes in supporting the harsh sanctions and taking the Iranians’ money and not delivering the S-300 system. So Iranians don’t have a particularly fond feeling towards them. So the West has a new game plan, or so many argue. And that is my guess, but who knows? You may want to write about it. I would expect the Black Sea to be a new theater of war and struggle. Good to see peace come to Syria, but not good to see the West find new places to go after. And Russia is likely target number one. You bring up a lot of interesting and controversial issues, Paul. This probably does warrant a post. I’ll try to answer all that in a new post, maybe even later today. Geoffrey West did a segment on this article and more on tonight’s (8/21) Cosmic Vision News: http://www.cosmicvisionnews.com/ Thank you, Geoffrey! Geoffrey is a Canadian, living in Sweden. Thanks for the link Nancy interesting show. Thank you so much for telling us about this, Lada. This monument is more than magnificen, it’s overwhelming. Not only Americans do not seem to know about its existence, also a lot of European people do not know. I’ll blog it on a special moment, i.e. on Sept. 11th.